The research is fairly compelling. If there is a desire to involve more children in STEAM, those kids need to be reached where they are engaged and already interested. A seemingly obvious way to do this, is through the characters they spend the most time with--endearing cartoon characters and content, as well as cartoon-like robots. Creating a trigger and spark for children, specifically girls that may not see themselves as techies or animators is critical. Speaking with two different individuals at the Consumer Electronic Show (CES2017) brought much of these aspirations to life. Both are looking to build a new generation of girls that code to learn, not learn to code. The Powerpuff Girls and We Bare Bears are more than just entertainment for the Cartoon Network and the Cartoon Network's President, Christina Miller. The popular animated programs are also part of the Cartoon Network's $30 million commitment to STEAM (Science, Technology, Engineering, Arts and Math) efforts to help kids learn more about coding and innovation. They are beginning to see the impact. Last year, the network began a partnership with MIT Media Lab's Scratch project and Google's Made with Code to leverage coding so that kids can express ideas, craft stories and create art. In the past 12 months, kids have built and shared more than 50,000 animations, games and other creations through the We Bare Bears tutorial on MIT's Scratch. "Part of the goal is to overcome gender and racial inequities and to reach more under-represented children and give them hands-on experiences with computer science in a way they might not have had before," Miller said. "We talk to our audience and our fans on a regular basis and my hypothesis is that we are building in the penmanship of this generation. We started to pressure test this with MIT Media Lab, and we aligned very quickly with them because that A is critically important to foster the next generation of creators and innovators. It's one thing that's really true to our DNA and who we are. We've actually been doing this forever, since the dawn of time, but we haven't been calling it STEAM," Miller said. Integrating more STEAM components into programs means that children and girls are learning more about what it really means to work in a computer science field. "We have an opportunity to tell these stories and show kids and girls what a role looks like in computer science, but more than that, emphasizing the A of STEAM. We have the opportunity to break stereotypes,"Miller said. 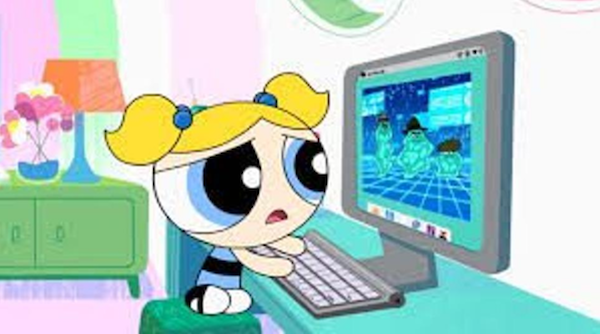 Breaking from some serial gender stereotypes has been at the heart of the stories that Cartoon Network's properties are hoping to do in terms of the classic white male hacker. But as a property they've been able to move beyond those toques by engendering a new generation of animators. The children who watch Cartoon Network are part of the post-Millennial generation tagged as the Pluralist generation, with its members known as Plurals. The generation consists of kids born after 1997, and most are growing up with tablets and smartphones in their hands. Making sure the relationships are done right and personified accurately is critical to these initiatives that are all attracting girls and their imagination. Bradley Knox, Founder of bots_alive is addressing gender inclusive design in that same demographic of post-Millennial children (between the ages of 6-11) in the form of a Robot with playful (almost puppeteer-like AI.) bots_alive's first product brings robots to life through a combination of a smartphone, a Hexbug® Spider (made by Innovation First International), and a bots_alive kit. They are supported by a National Science Foundation SBIR grant. The philosophy in their products may be a little whimsical, but they address the need to reach children in their environments through stories. For Knox, it derives from a quote often attributed to The Little Prince's author Antoine de Saint-Exupery's,"If you want to build a ship, don't drum up people to collect wood and don't assign them tasks and work, but rather teach them to long for the endless immensity of the sea." Inspiration for girls and then the actual learning and both are critically important. While their product is not explicitly addressing STEAM, it is addressing AI, computer vision and robotics. Knox is teaching children and girls to have yearning for the vast endless field. Knox was a Post-Doctoral Researcher at MIT under the guidance of Cynthia Breazeal-the most widely known researcher with human-centric robotics design, developing some of the world's most famous robotic creatures embedding robotic technologies into familiar everyday artifacts, to creating highly expressive humanoid robots and robot characters. Essentially, Knox is working to contribute to play and education by building animal-like robots that are capturing the imagination of girls who will not stop just at curiosity-level but be drawn to the sea of creation, animation and robotics. Jill Richmond is a two-time founder, Marketing and Innovation Strategist. Follow her on Twitter.